We are celebrating (and documenting) the impact and success of the KICP Space Explorers Program. Since 1991, the Space Explorers Program has provided deep and meaningful experiences to over four hundred urban youth and one hundred scientists-mentors. Space Explorers has been a signature program of the KICP since its inception as a NSF Physics Frontier Center in 2001. The milestone of the 25th Anniversary is an opportunity to celebrate, document achievements and look forward to the future. 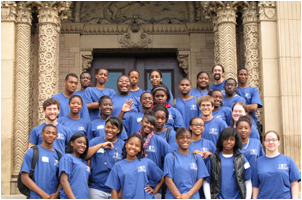 The Space Explorers Program offers inner-city youth from neighborhoods around the university a multi-year science enrichment opportunity. 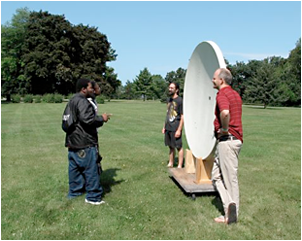 The program provides over one-hundred (100) contact hours each year including weekly laboratories taught on campus, three-day winter and week-long summer residential science institutes at Yerkes Observatory. This sustained engagement offers the Space Explorers the opportunity to become familiar with the university research community and the culture of science. It also helps to cultivate future teacher/scholars by offering a variety of valuable teaching, communication and team-working experiences to younger scientists. The Yerkes Summer Institute (YSI) ~ August, 1-8. 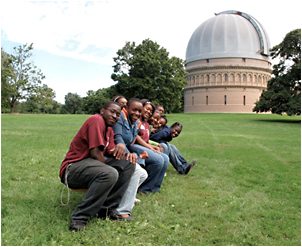 The biannual residential institutes held at Yerkes Observatory (Williams Bay, WI) provide an immersive environment that encourages scientific curiosity and exploration. The retreat like setting offers ample time for in-depth studies (e.g., 5.5 hrs/day lab) and for valuable informal interactions with center scientists. During the first half of the institute students explore thematically linked daytime laboratories and nighttime investigations (e.g. using Observatory telescopes) in small groups. During the latter part of the institute, each of three reporting groups explores a single laboratory in greater depth (e.g. over two additional days in the summer) and prepares a presentation for parents and peers that culminate the institute. Each year a graduate student elects to lead the program and gains valuable pedagogical experience designing and implementing the curriculum. 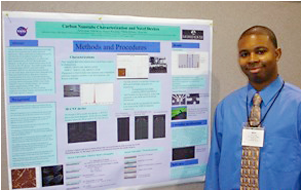 This student also leads a team of volunteers who work together to develop and implement the residential science institutes at Yerkes Observatory. 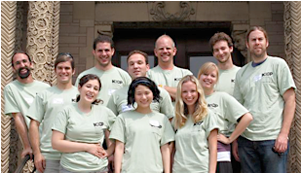 Over 60 Center members have taught in residence at KICP Yerkes science institutes. Many other members of KICP are involved in the program through designing laboratories for the institutes, weekly tutoring, and other enrichment activities.